Party games have definitely enjoyed a resurgence in popularity these days. Without a doubt, they are a great way to break the ice or bring people together. Party games are tech-free, “green”, and many are inclusive (all ages can play). Many even enjoy watching others play party games! Have you seen the popular television show, Hollywood Game Night? Now in season 6, the show recreates the idea of friends gathered in a family room to play a guessing game. The idea is not a new one! Well over a hundred years ago, friends and families enjoyed playing what were known as “parlour games”. A big favourite was charades. Parlour games were defined as those you could play indoors (in a formal parlour!) without making too much of a disturbance. They typically involved some kind of a guessing, and didn’t require anything except perhaps paper and pencil. They are also considered “electricity-free” fun: many can be played by candlelight, just like they were played in Victorian times! Parties are perfect for holiday gatherings. Most can be played by children as well as adults and the rules are always simple. Best of all, party games allow some “silliness” to emerge, and typically result in lots of laughter. Even those who say they don’t “like” games find themselves involved, even if they are just cheering on the side. 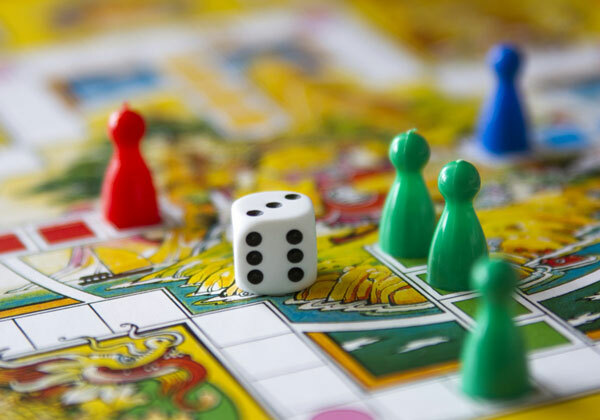 Today’s young adults are embracing such “unplugged games”. Some, like charades, are played the same way they’ve always been played. Others, like Catchphrase, are a revamp of an older game, Password. Of course, there are apps you can use, in order to play such party games. You also can buy the games, packaged as a set of clue cards. Pictionary is a variation on charades, where players draw the phrase. This one is particularly good for a group with mixed ages! Password or Catchphrase gets your team members to guess the target word by explaining the word to them out loud. The trick is, you can’t say the word (or any variant of the word) or you lose the round. Botticelli is a strategic question game similar to 20 Questions. One player takes on the role of a famous person. Questions are asked to work out who this celebrity is. Apples to Apples is great for all ages. It does require a set of purchased cards. There are just two types of cards: Things (red cards) and Descriptions (green cards). Each player takes turns being the judge and pulling the next Description card. The other players try to pick, from the cards in their hands, the Things they feel best match that Description – in the eyes of the judge.